Description: Depo-Provera® is an injection used as an alternative to the daily use of birth control pills. This brochure explains the risks and the failure rates. It also explains the possible abortifacient nature of the injection. 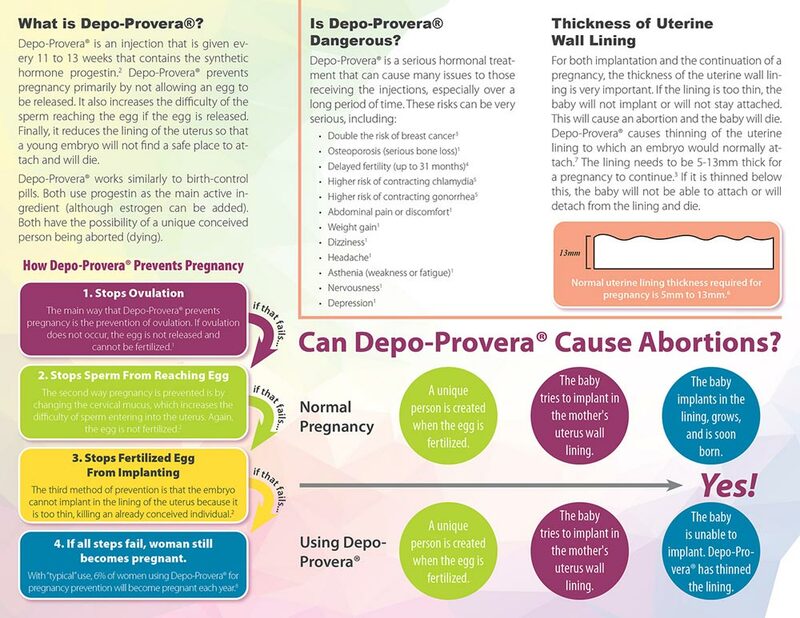 Finally, it gives information on the effect of Depo-Provera® on the uterine wall. 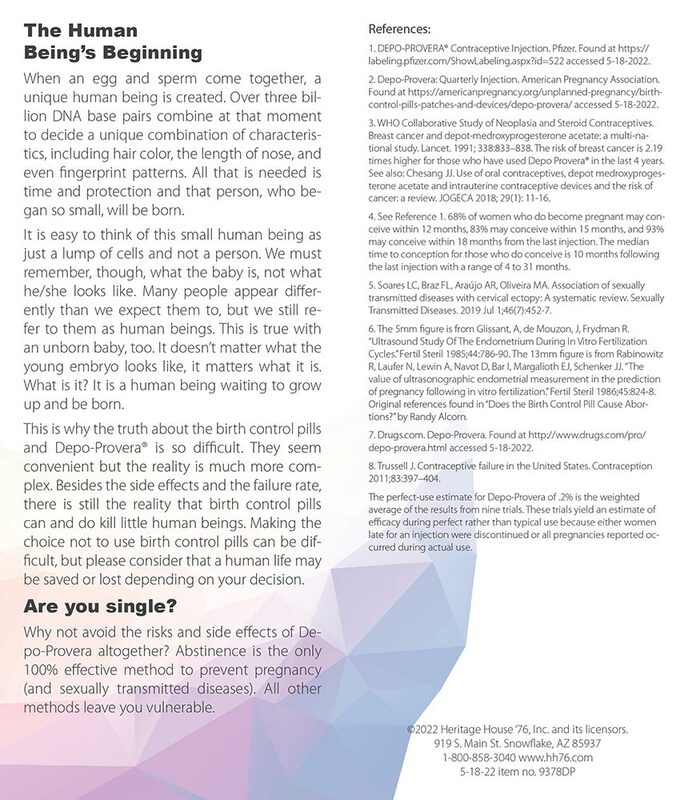 Included is a discussion of the development of an unborn baby and a short message explaining the best solution for a single person is abstinence. The brochure is meticulously documented and up-to-date.